In what has got to be one of the worst arguments for emptying our pockets into the global warming scammers’ collection plates that I’ve ever heard—a sort of elementary school drop-out’s variation on Pascal’s Wager—the feckless Mr. Turnbull (he admits that he lost his leadership role in Australia’s Liberal party because he supports an emissions trading scheme, which U.S. liberals actively promote as “cap-and-trade’) urges those of us who believe that the science fiction of global warming is at best a farce and at worst Marxism redivivus (“Green” is the new “Red”) to simply treat it as an exercise in risk management. I recognise that many people are sceptical about the science. But as Margaret Thatcher pointed out 20 years ago, this is an exercise in risk management. Given that the consequences of unchecked global warming would be catastrophic, responsible leaders should give the planet the benefit of the doubt. Few of us imagine our house is going to burn down tonight, but most of us will have taken out insurance. Realizing that your typical climate change skeptic or fence straddler will not be moved by the typical liberal breast-beating over the levels of First World consumption that produce that nasty “pollutant,” carbon dioxide, he completely bypasses their modern scientific sensibilities and appeals directly to their business sense. “I recognise that many people are sceptical about the science,” goes his little canned presentation, “But…” And then comes the trillion-dollar “but,” which can supposedly be broken down into “easy monthly payments” to tree nurseries in Central America or the Congo or wherever. Like any good insurance salesman whose job it is to sell add-on coverage, Turnbull’s smooth hand deftly slides an attractive brochure under our noses. And, as they say, nothing is too expensive to the person who doesn’t have to pay for it himself. For Turnbull, shooting craps with the global economy makes more sense than questioning hyperventilating alarmists who have (by pure coincidence, I’m sure) made massive financial investments in the very technologies that they are demanding our governments replace carbon-based energy sources with. At the end of his 1975 film, Love and Death, Woody Allen’s character Boris Grushenko famously quipped, “After all, there are worse things in life than death. If you’ve ever spent an evening with an insurance salesman, you know what I’m talking about.” Yes. We’ve been spending the last several years listening to Al Gore. There are things worse than death. And as they say, “Hard work never killed anyone, but why take the chance?” So perhaps we should all be forced to pay for insurance against the possibility of fatally-diligent labor as well. But—and not to demean yet another worthy profession here—politicians like Mr. Turnbull will never miss a chance to pick the people’s pockets faster than a used car salesman can tack on a list of add-on fees and service charges to the price of an old beater. Climate Depot (a kind of “Drudge Report” for climate issues). Watts Up With That? (one of the best global warming skeptic blogs, edited by former TV meteorologist Anthony Watts). Cornwall Alliance (a conservative evangelical response to global warming alarmism). 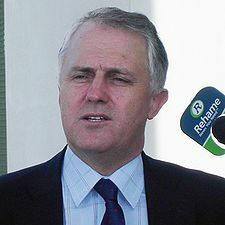 Source: “It’s reckless to be a sceptic on global warming,” by Malcolm Turnbull | Times Online. Related Article: “Climate, Caution, and Precaution,” by Willis Eschenbach | Watts Up With That?